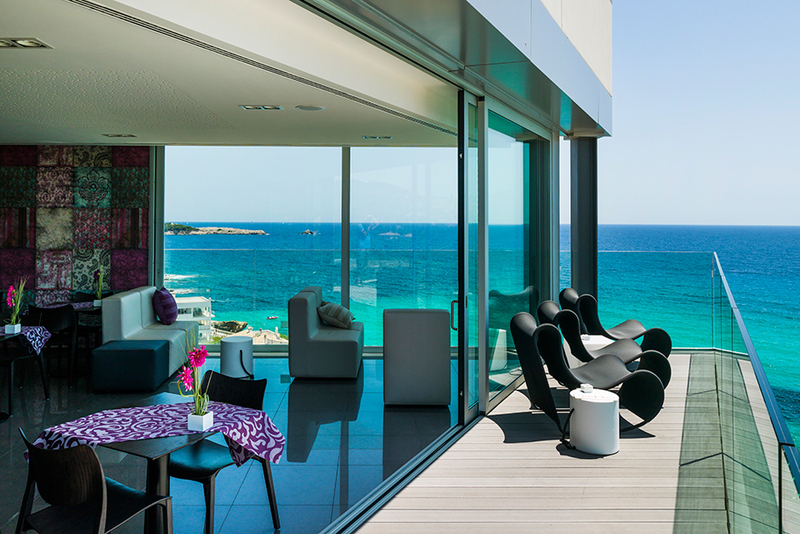 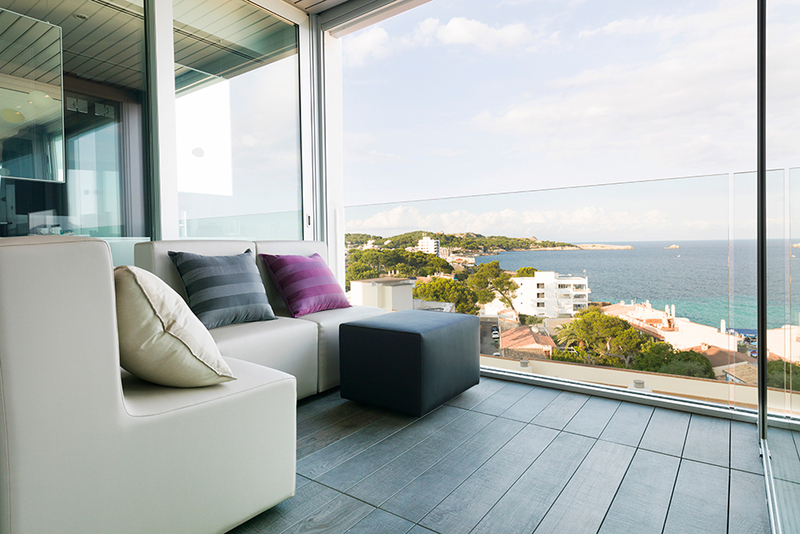 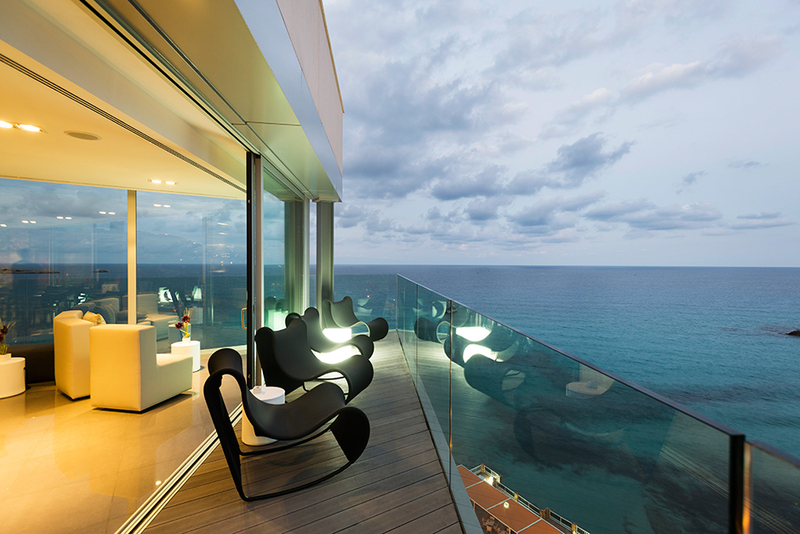 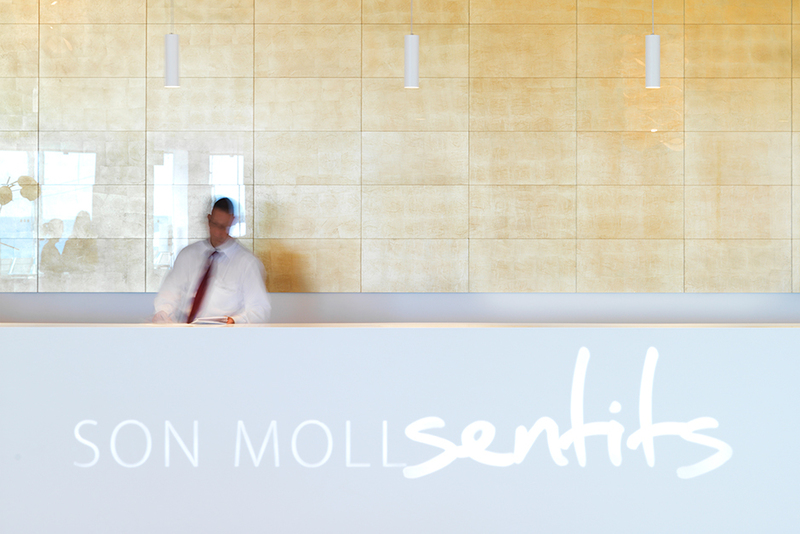 The Hotel Son Moll Sentits, is a private resort located on the island of Mallorca in Spain. 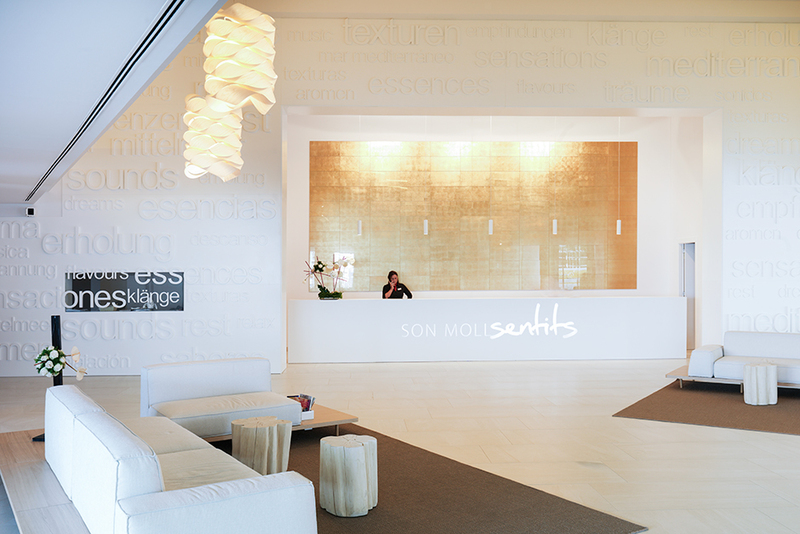 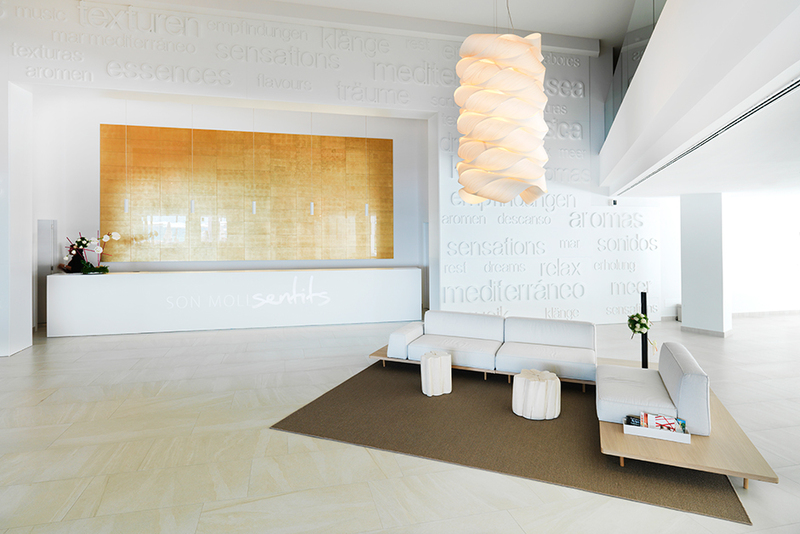 The resort uses a wide variety of Porcelanosa products – ranging from Par-ker tiles that are used throughout the resorts’ outside areas, to its custom KRION® reception desk that is embellished with the hotel’s logo backlit in the desk. 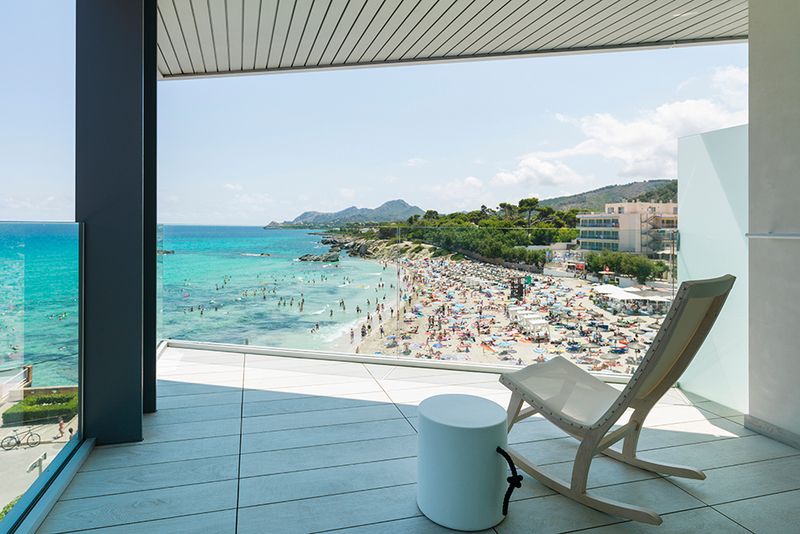 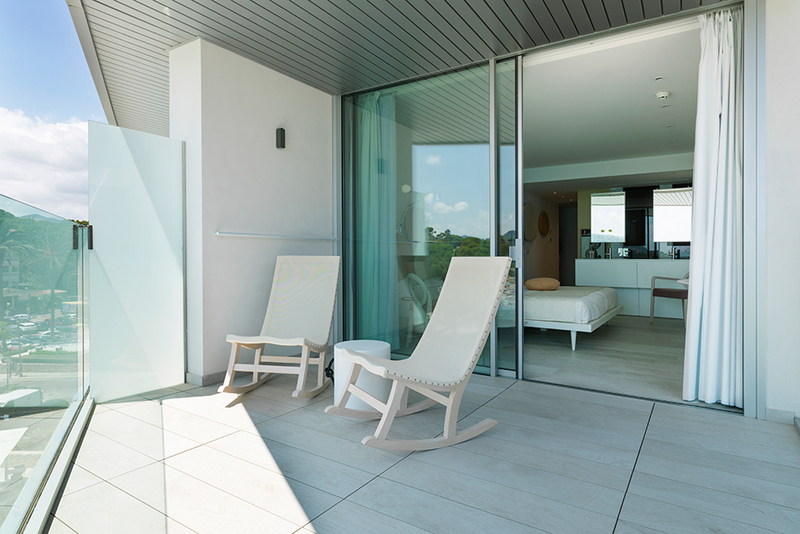 A wide range of many other Porcelanosa tiles, including Oxo Line White, Marmi China, Madison Silver, and more adorn the walls of the hotels’ rooms. 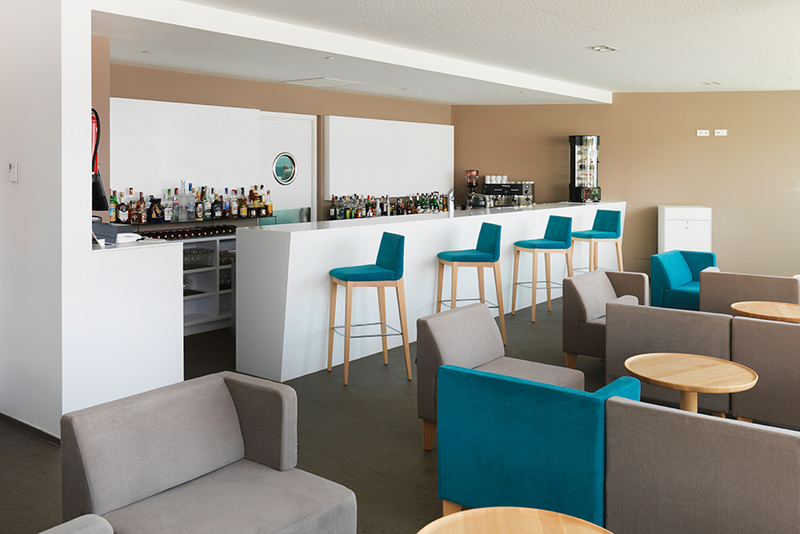 The bar in the cafe is a spectacular sight for guests to see. 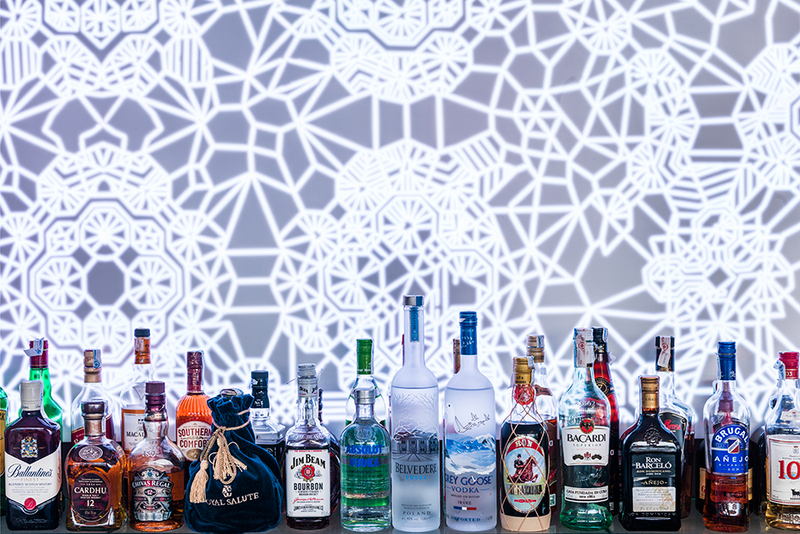 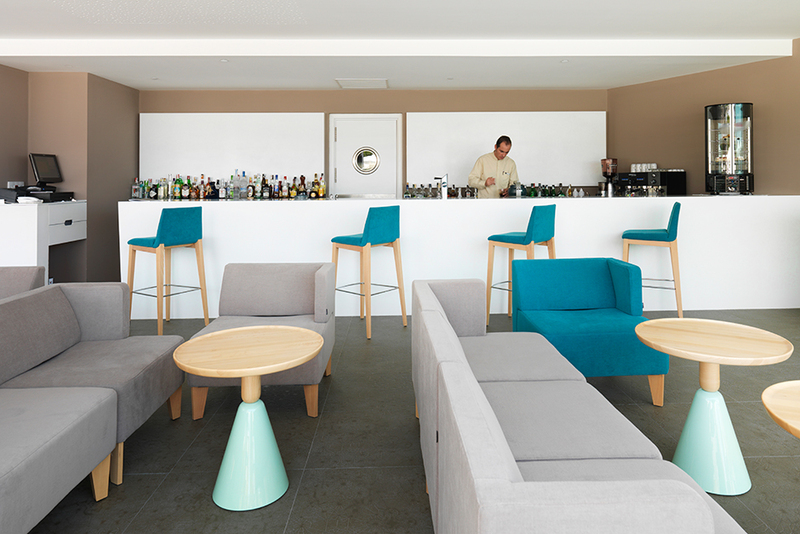 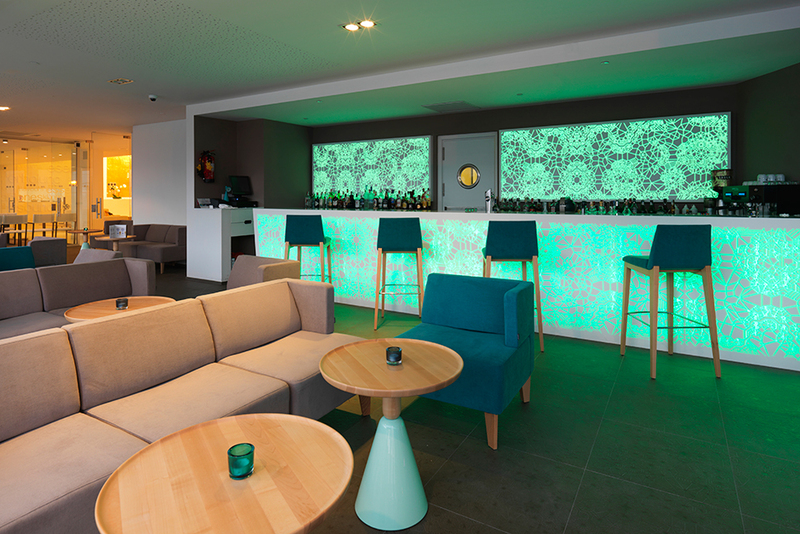 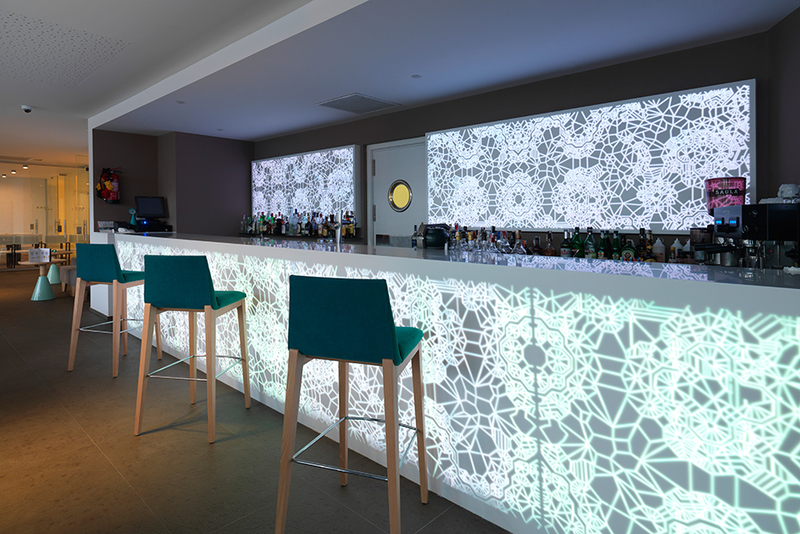 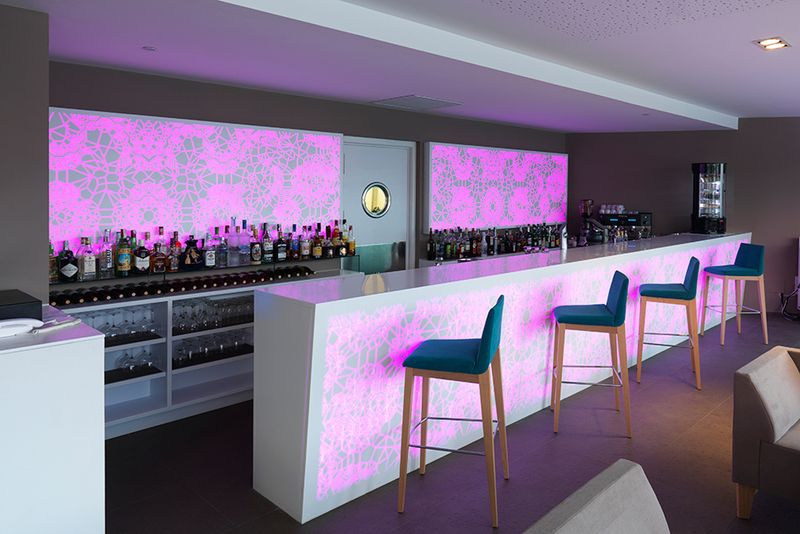 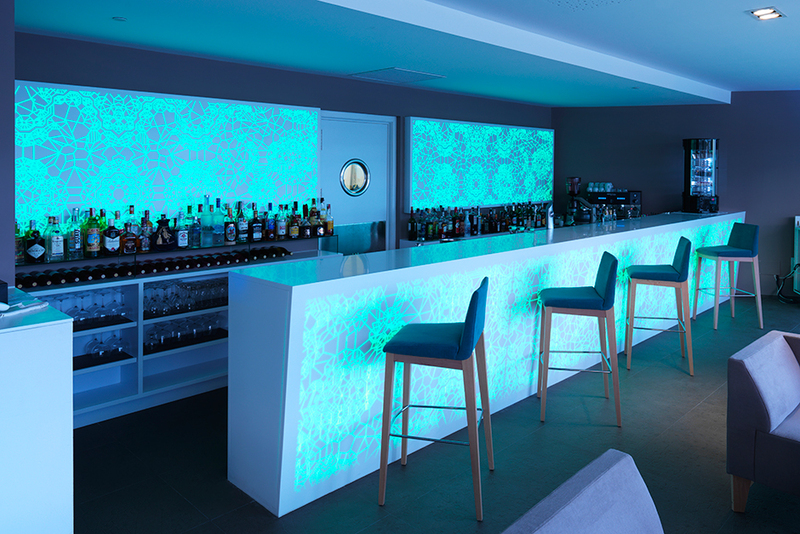 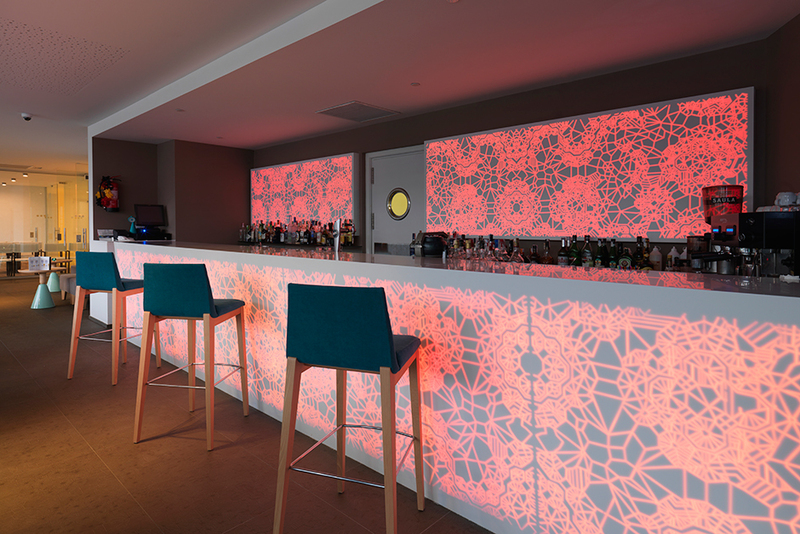 Because the bar is made out of KRION®, it has the ability to light up and change its design to different colors.